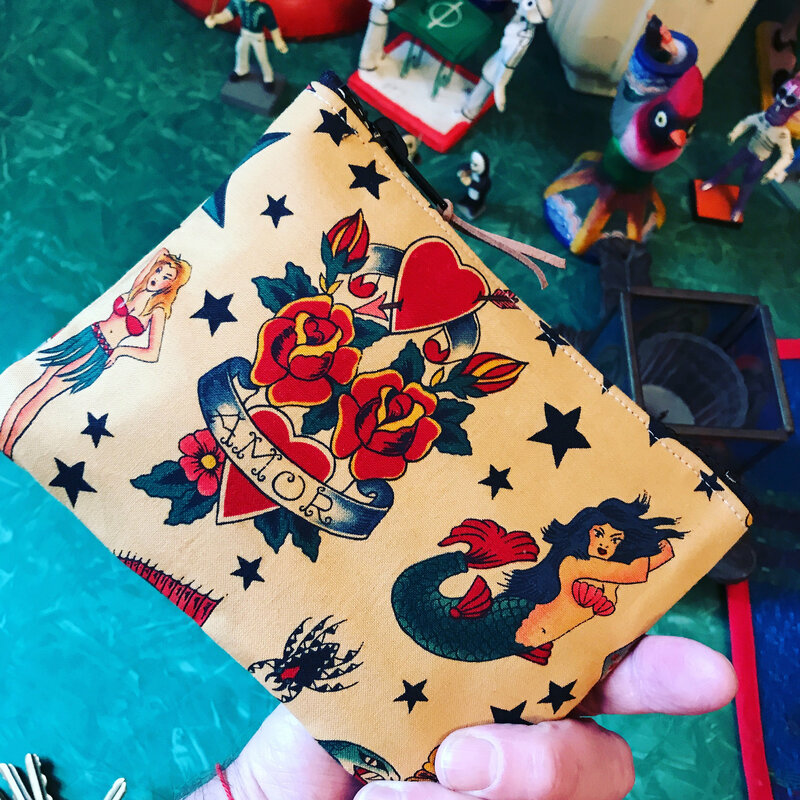 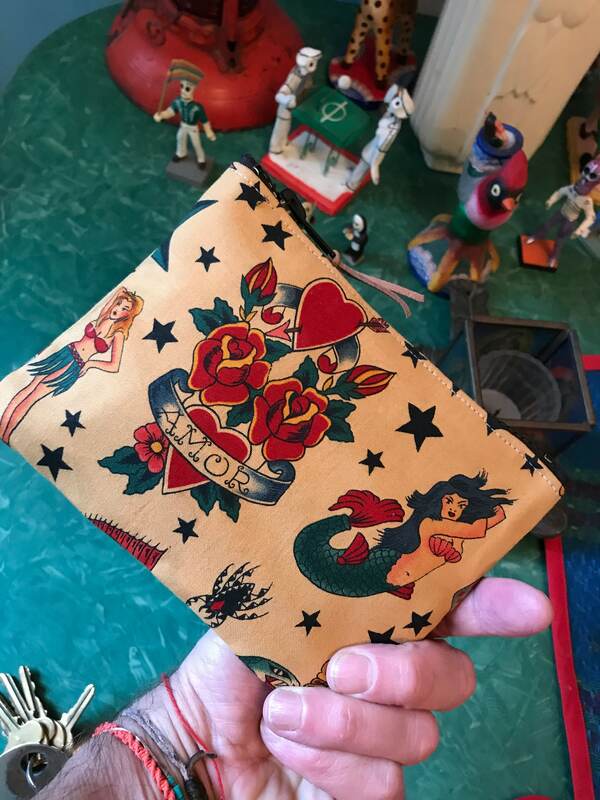 A 7" zippered cotton print pouch with a sailor jerry tattoo print. 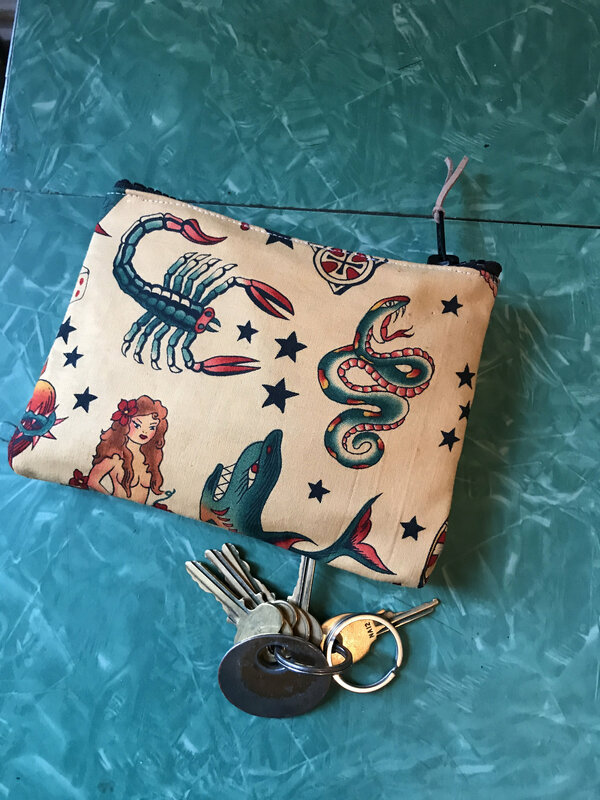 This bag is lined with a water repellent canvas. 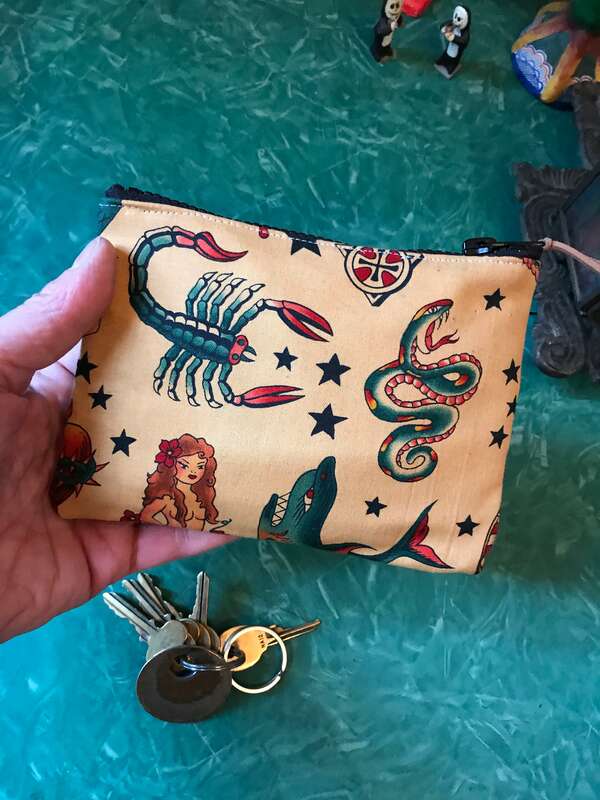 More than anything this bag is guaranteed to make you smile.